Weezer’s polarizing “Pacific Daydream” may not be what fans expect, but it features some listen-worthy songs. A summer album released at the end of October? It’s unusual, but when has alt-rock band Weezer ever been anything but? After the 2016 “White Album,” fans doggedly expected an accompanying “Black Album,” which hinted at a revival of Weezer’s famed “Pinkerton” days. But, as it turns out, the band had more in store, and released “Pacific Daydream” on October 27, 2017. 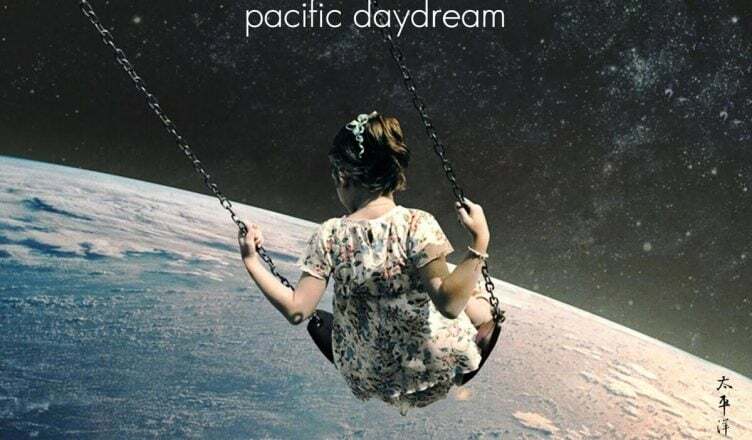 With gorgeous cover art, a solid name, and music distinctively unlike anything they have done before, “Pacific Daydream” marks the 25-year-old band’s 12th official album. Filled with breezy love tunes dedicated to California, “Pacific Daydream” is a concept album not unlike the previous “White Album,” but time will show whether fans take to it or not. After a number of underperforming, radio-catering albums released during its post-”Pinkerton” era, Weezer promised to return to its rock roots — “back to the shack,” as the band called it — and it promptly delivered with “Everything Will Be Alright in the End” and the Grammy-nominated “White Album.” But “Pacific Daydream,” which incorporates more pop than usual for the band, may be a wake-up call to long-time Weezer fans: they may not have truly moved on. The album begins strongly with the slick electric guitar riffs and the summer-soaked vibes of “Mexican Fender.” It’s admittedly underwhelming on first listen, but if any of the songs off this album are to be mainstream hits, this one is a worthy contender, with catchy drum beats and solid rock vibes. It’s faintly reminiscent of older Weezer songs but slips on the lyrics, sliding into disappointingly average summertime pop fodder. Carrying on the beach theme like a blazing torch, “Beach Boys” revs out husky bass chords and oozes images of hot, sandy beaches. Its lyrics, however, deliver little substance with bumbling, gawky lines like, “it’s the Beach Boys / making my eyes get moist.” Weezer has a well-placed reputation for quirky lyrics, but lines on “Pacific Daydream” feel out of place — and not in the band’s usual lovably-silly, poetically-awkward way. The infamous “Feels Like Summer” follows, and out of the entire album, this is the most controversial track. Released as a single months ago, it immediately met mixed reactions. The song’s reliance on hollow synthesizers has led some to accuse the band of pandering to mainstream music. But it worked; the song reached number two on the “Billboard Alternative Songs” chart. This wasn’t the Weezer the fanbase had come to love — or at least, accept — and the song created apprehension for the rest of the album’s songs. “Happy Hour” and “Weekend Woman” add to the mix of so-far relatively lackluster songs. They’re all certainly not “bad,” especially on subsequent listens, but they’re more-or-less forgettable and indistinguishable from one another. The album goes beyond a consistent theme; it has an entire tracklist of nearly-identical tunes and lyrics. But when the first few notes of “QB Blitz” come in, it’s evident that this is what fans wanted from the album. The song, coat-tailing off of the youth and freshness from “White Album,” harnesses frontman Rivers Cuomo’s aching voice — a welcome, familiar sound in this new territory of music, with “Pinkerton”-esque guitar strumming. The second half of the album picks up from here, with “Sweet Mary,” a classic Weezer love song with nice production, and “Get Right,” a safe, if generic, addition with an earworm of a chorus. “La Mancha Screwjob” is another one of the album’s more-pop-than-rock songs, but its execution, compared to the others, is better, with a decent dance rhythm. The 10-song album finishes off cleanly with “Any Friend of Diane’s.” It’s upbeat, like the rest of the album, but surprisingly moodier and darker in its lyrics. With somber lines like, “And she got sick one day / I still have the map she drew for me,” this unexpected extra depth of vulnerability calls back to the band’s older, much-beloved songs, and the song is a tantalizing hint to where Weezer plans to go in the future. No, the band has not been able to create a second “Pinkerton” yet. “Pacific Daydream” and “Pinkerton” may both showcase sounds and styles unusual for both Weezer fans and ordinary listeners, but “Pacific Daydream” ultimately lacks the raw emotional brevity that eventually turned “Pinkerton” from a hated album into a hailed cult classic to be played over and over in the garages of suburban ’90s kids. But, some may argue, is it fair to compare Weezer’s recent works with an album that came out over 20 years ago? Trying to relive the glory days may be a stretch, but it’s clear that the band doesn’t think so. Its effort is admirable as the band continues to churn out music after music until the right one sticks. “Pacific Daydream” feels like a filler — before something much greater.